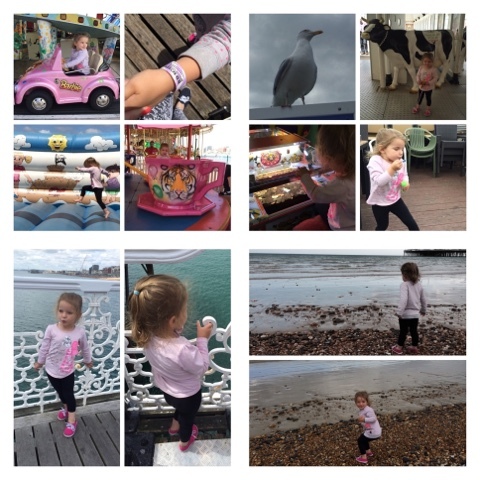 Whilst I was down in London visiting my family, we decided to go on a little trip to Brighton and took my 3 year old niece with us. 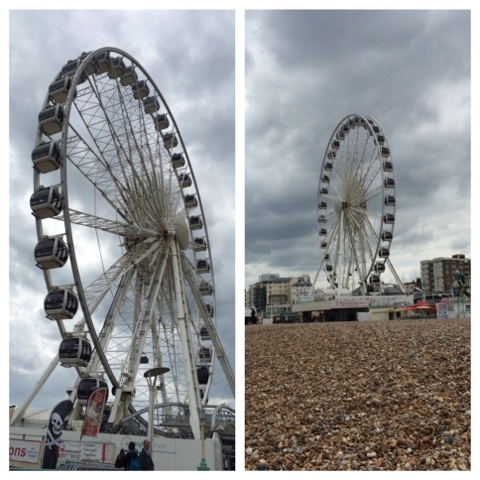 Left my sisters in London about 10:30am to drive the hour to Brighton, once we got there we took a walk down to the pier as it was lovely weather and let my niece have a go on a couple of rides. After about 2 rides we decided it would work out cheaper to just buy her a wristband for £7 which she loved the idea of as it meant she could go on as many rides as she wanted and however many times that she liked. After she had, had a go on her rides we then took a nice slow walk along the rest of the pier having a look at some of the little small shops that are on there, brought a few things. Then went over to Harvester which is just across the road from Brighton Pier and ordered some dinner, and obviously you have to have fish and chips by the seaside haha. After we had been in Harvester for about an hour we then took a walk down onto the actual beach, which my niece was particulary excited about as shes only been to the seaside a few times before. She stood there throwing stones into the sea for ages enjoying herself. After we had spent some time down on the beach we took a walk back up to the pier to get some candy floss and some doughnuts for the drive back to my sisters house. I think we ended up getting home about 5pm that day, and its fair to say we were tired and had very achy feet from all the walking! Unfortunately we didn't get a chance to go and have a look at the other shops in the lanes, but that is defintely on my to-do list next time I go there.....Its probably a good thing i didn't get to have a look this time, as i would of probably spent a lot of money haha. I only took a few photos that day, as wanted to enjoy the day rather then stand there taking loads of photos. So I will share some of the photo's below for you to see. 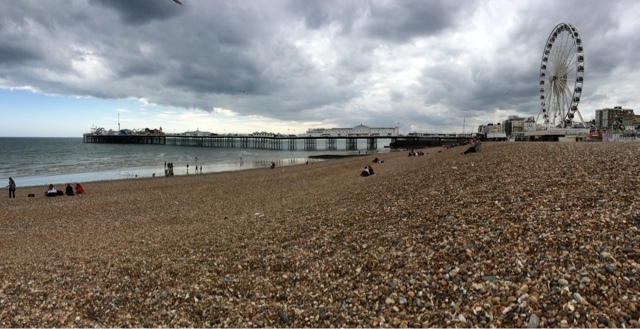 One day i hope to move to Brighton as its such a nice place, its where we originally wanted to move before we chose Newport, but for some reason we couldn't find any decent places to rent down there.